 Sales, Marketing, Business Development (Direct / Govt. / Institutional / OEM / National, Large and Major account / Channel, Dealer and Retail / B2B), Product / Brand management / Corporate Communications / PR / Application / Product Specialist (4-20 years Experience).  Technical / Customer support / Customer Service / Customer Care / Networking / System / Pre - sales / Facilities, AMC / TPM, Operation etc.. (5-15 years Experience).  Telecom Engg. / Tower Infrastructure / Technologies and Telecom / Network / Billing / Datacom / Software / Operation and Maintenance / Installation and Commissioning / Wireless and Communication Technologies / ISDN / VOIP / VPN / Protocols / Modems / Multiplexers / Network Security / Switching / Transmission / Microwave / VSAT / ISP / Hub operations / ATM / RF / GSM / Test and Repair (5-15 years Experience).  Executive Secretary / Executive Assistant for Top Management / CMD / CEO / Expats / National and Regional level Sales / Marketing Coordinators (5-12 years Experience). 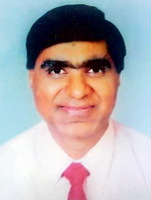  Director / HOD / Dean / Professors / GM / RSM / Centre Head (6 - 30 years Experience).